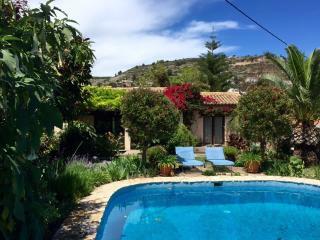 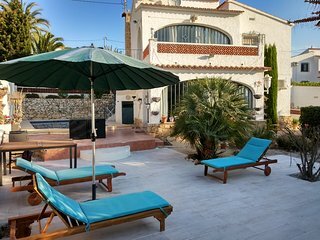 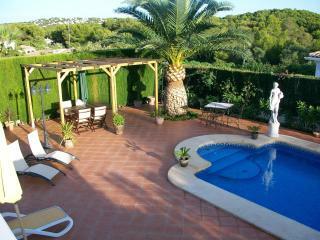 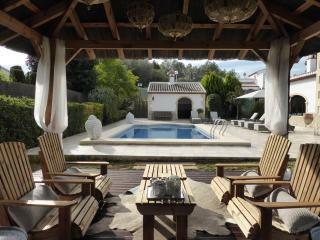 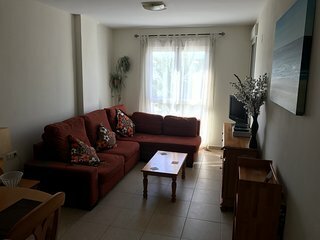 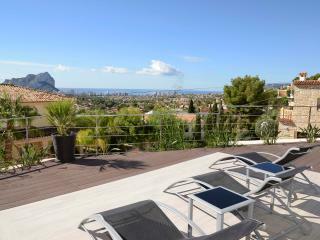 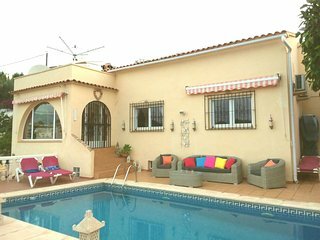 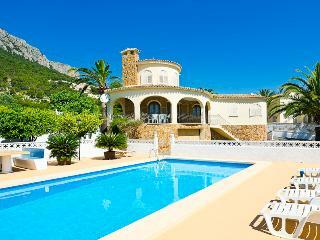 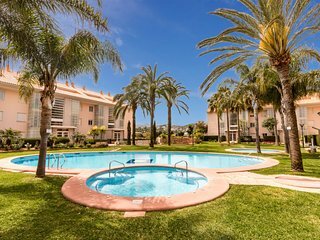 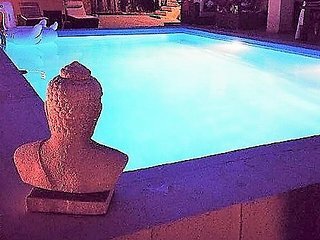 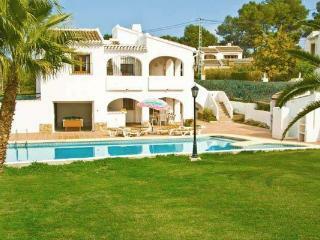 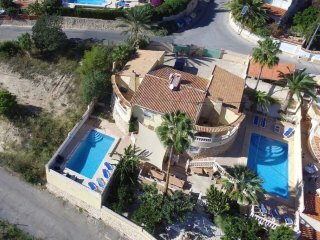 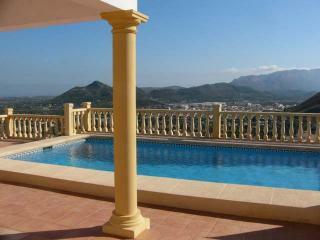 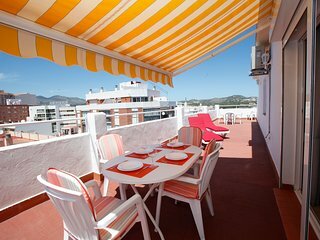 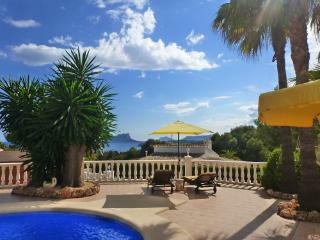 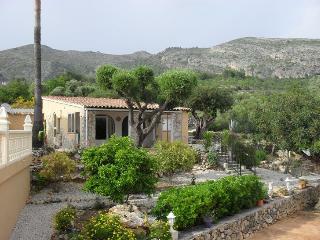 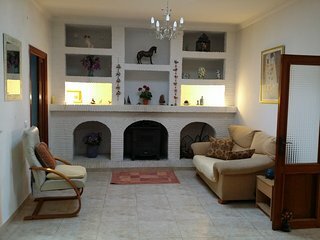 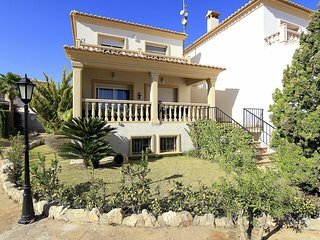 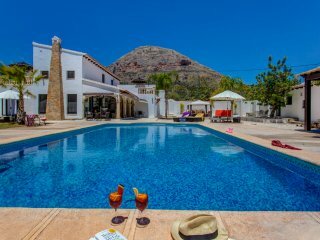 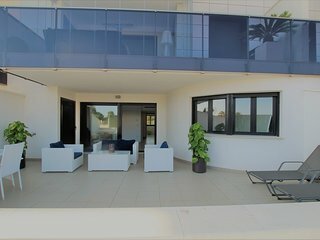 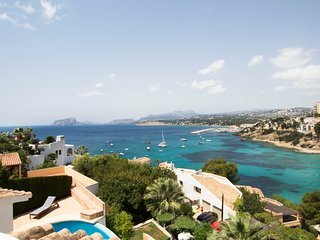 2 bedroom Apartment in Moraira with pool. 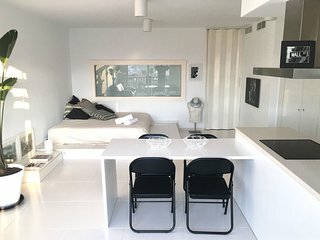 Sleeps up to 4, UK TV and parking. 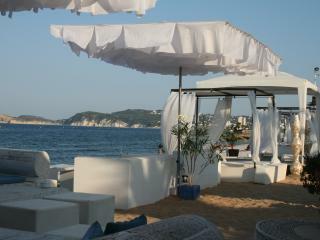 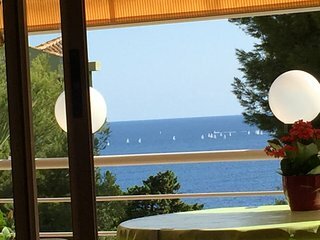 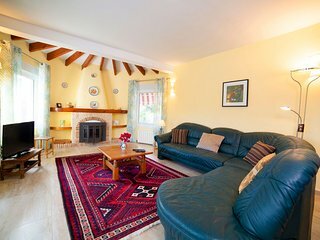 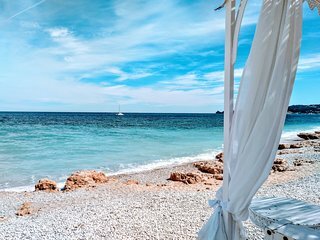 Sea View, Wifi free, Wohng.50 m2, balcony 7 m2, terrace 50 m2, pool, 2X climate.